Free Tents, Side Attractions, or Main Stage! 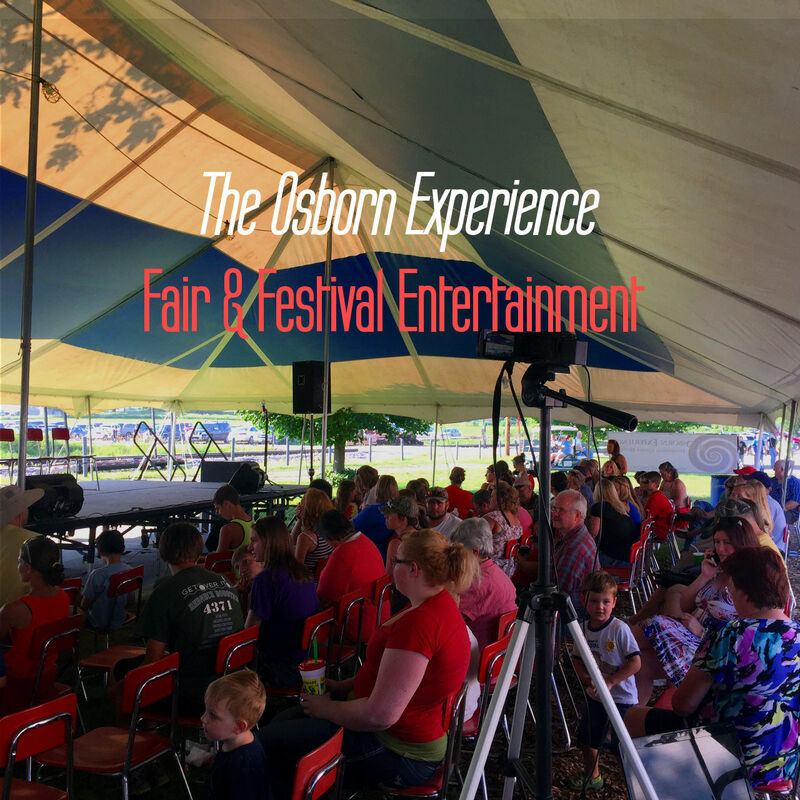 The Osborn Experience is an awesome way to attract visitors to your fair again and again! Comedy Hypnosis shows are a staple attraction at fairs, and we can provide you with the ultimate fair entertainment! Are you looking to attract guests to your free tent to get exposure for your sponsors? The Osborn Experience hypnosis show is an excellent way to do that. Our show is perfect for free entertainment events, side stages, and main stage entertainment! The great news is that we have enough material to do several shows back to back without repeating, so your fair attendees will never see the same show twice. You'll never have to worry about attracting guests to our show, because hypnosis shows are a natural draw and grow year after year! Book The Osborn Experience with the confidence that your guests will ask for us again and again! Options to make your life easier! We know how much time and effort it takes to put together your entertainment schedule and get everyone working on the same page, so we strive to be easy to work with. Don't have a PA for the stage? No problem. The Osborn Experience is fully equipped with our own professional-grade sound system to ensure that your guests will be able to hear us in venues big or small, indoors or outdoors. We'll provide stage sound and monitors, plus the back-of-room mixing and production equipment to tie it all together. The best part is, we'll provide this free of charge for most shows! We even have a full-time production engineer on staff to ensure that our shows goes off without a hitch. Indoor venue? The Osborn Experience has a really stunning theater-quality light rig that we can use to really wow your guests...again, provided free of charge to most fairs. Make sure you check out our preview video to get a preview of this wonderful addition to any indoor fair event. Your fair attendees won't have seen anything like this!